L/Cpl. Ernest Hartford Dalzell 24959 1st Bn. Border Regt. Pte. 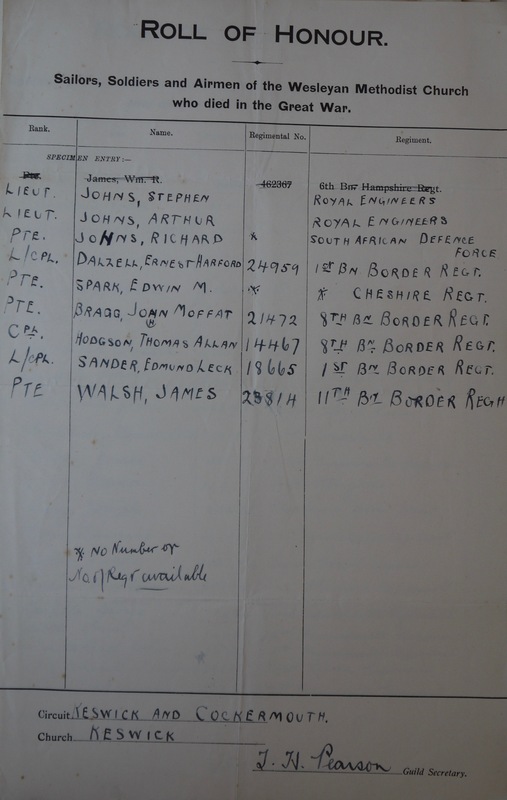 Edwin M. Spark 427 Cheshire Regt. Pte. John Moffat Bragg 21472 8th Bn. Border Regt. Cpl. Thomas Allan Hodgson 14467 8th Bn. Border Regt. L/Cpl. Edmund Leck Sanders 18665 1st Bn. Border Regt. Pte. 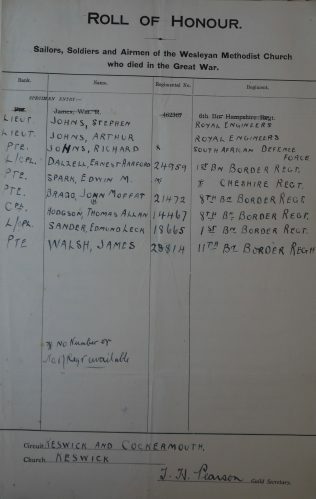 James Welsh 23814 11th Bn. Border Regt. gives full details of all but one of these men, with their photographs. The missing man is Pte. Richard Johns, who cannot be traced in any official records.